The holidays are a wonderful time for celebrating with family, catching up with loved ones…and engaging in unhinged overeating. And while the never ending feast of holiday foods is no doubt a once-a-year opportunity, it can also lead to plenty of unwanted fat gain. For many women, it can even undo an entire year of hard work. So, with that said, here are three tips you can use to enjoy the holiday festivities and still avoid the dreaded weight gain. This has been said a million times, but it’s worth repeating- weight loss (and weight GAIN) is a matter of calories in verses calories out. If you eat less calories than your body needs to maintain itself, you’ll lose weight. If you eat more…you guessed it- you’ll gain weight. The reason that “junk food” is associated with weight gain isn’t the fact that it’s unhealthy per se. It’s the fact that it tends to be a.) higher in calories and b.) less filling than “healthy food”. In other words, junk food doesn’t cause weight gain- it just makes it easier to gain weight. The problem with the holidays is that there’s just so much of it going around. And unfortunately, for those of us trying to avoid gaining weight, we tend to go with the strategy of avoiding it altogether. The reason this is a bad move comes down to willpower. A lot of us think that the reason we gain weight in the first place is “lack of willpower”, but that’s not quite right. Think of willpower like a battery that gets recharged everyday. We all start the day with a certain amount of it, but as the day goes on, our “battery” starts to drain with every act of restraint we engage in. Just like you’d use up your phone battery pretty quickly if you spent all day watching YouTube, it’s surprisingly easy to drain your “willpower battery” when you’re constantly having Christmas cookies and cake shoved in you face. And once that willpower battery drains, a lot of people find that it’s “game on”, and instead of having one brownie, they have ALL the brownies. So, here’s what you need to do- stop worrying about eating healthy (at least, temporarily). Yes, obviously on days when you’re not “partaking” in holiday festivities, it would be in your best interest to have a salad or two. But during those Christmas parties and dinners when you know you’re not going to be able to avoid it, spend the majority of your effort tracking calories. Figure out how many you should be eating per day to maintain your weight, and don’t go over that. You’ll keep your willpower up for much longer, and you’ll be more likely to avoid the dreaded binge. Buffet. Potluck. Whatever you want to call it, it almost always looks the same- a huge pile with every kind of high fat/carb/calorie food imaginable. Unfortunately, a lot of people go about this completely the wrong way. They end up filling up their plate with “a little bit of everything”, thinking that this will limit the amount they eat. More times than not, the exact opposite is true- psychological studies have shown that more food choices usually equal more total calories being eaten. The reason for this? Evolution. Human beings evolved in feast and famine environments. As such, your biology is wired to get you as much food in now as humanly possible to prepare for the impending famine. Unfortunately, evolution hasn’t quite caught up to modern society, and your body has no way of knowing that you have less chance of being in a famine than you do of winning the lottery. Having an abundance of food choices makes it difficult to determine whether or not you feel satiated. Imagine you had two all-you-can eat dinners. The only difference was one had two high fat/carb/calorie dishes and the other had ten. Not only would eat significantly more calories during the second, but you’d probably report feeling the same feeling of satiety (in other words, you’d feel equally satisfied with both dinners). This is your biology hard at work, trying to get you through the next food shortage. So, when you find yourself knee deep in a potluck this year, resist the urge to “try everything”, and just stick with the two or three things you really want. It’ll make keeping your calorie count under control a whole lot easier. Since we’re on the topic of potlucks, here’s one more little trick for you- bring your own food…and cook it yourself. It’s no big secret that when it comes to these Christmas parties where everyone is supposed to prepare something to share that certain people…err, skip the “preparing” part. 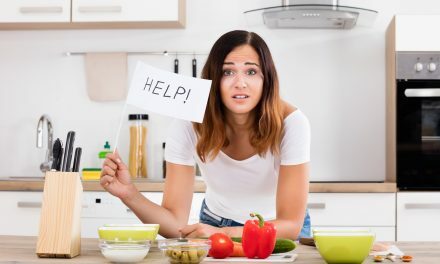 Unfortunately, while there are some truly divine goodies in the pre-made section of the grocery store, its important to keep in mind the sheer quantity of unnecessary calories in most of them. You see, most food manufacturers care about one thing- getting you to eat as much of their food as humanly possible. The term for this is “highly palatable food”, and these companies go to great lengths to get juuust the right ratio of flavour that makes it next to impossible for you to stop eating. The result is usually a calorie bomb (think obscene amounts of butter and sugar). Instead, make your own little goodie at home, and make that one of the main things you snack on at the party. You’ll be able to control exactly how many calories go into it, and you won’t be stuck feasting on some horror show with god-knows how much butter and oil. 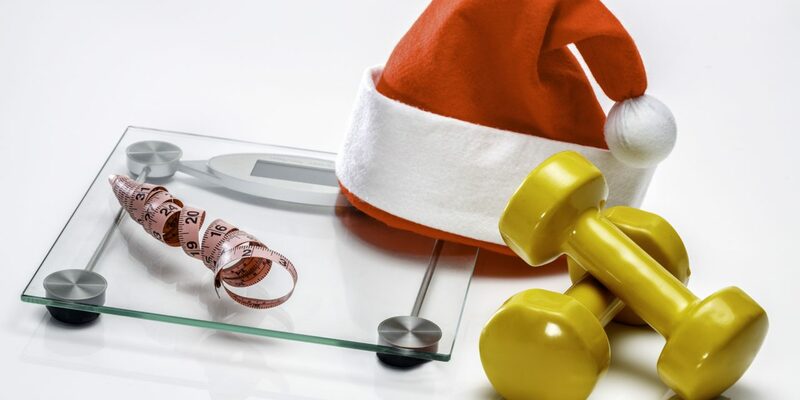 The holidays are, without questions, one of the worst times of the year for weight gain. But it doesn’t have to be that way. With a little bit of planning and some creativity, you can enjoy all your favourite treats without packing on the pounds. 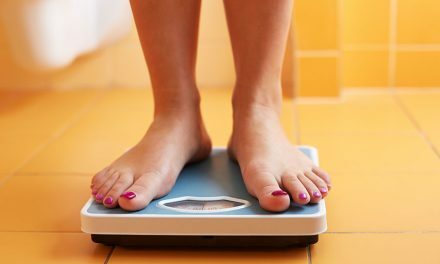 PreviousHow Much Cardio Should You REALLY Do To Lose Fat?